The search for children’s „Fairy-tale hero” began! If you know of an ordinary man/woman who has made a difference for children, you can nominate him/her from March 1st to April 19th by telling his/her story HERE. Anyone can nominate the„Fairy-tale hero”! During the period of nominations, members of the National Network for Children (111 organizations working with and for children and families across the country) will be able to nominate institutions and organizations that have contributed to improving the lives and welfare of Bulgarian children in 7 different categories: Journalist, Local level politician, National level politican, Business, Municipality, School and Hostpital. On the eve of the first official June during a gala ceremony the winners of 2013 will be awarded. 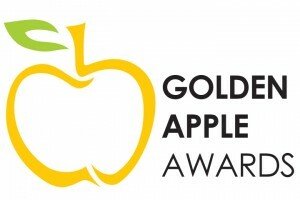 The “Golden Apple” Awards held for the first time in 2011. They aim to encourage organizations, institutions and individuals who work for a better life and respect of the rights of Bulgarian children. „Fairy-tale hero” for the Bulgarian children in 2012 is Iliayana Kaleva, the only Bulgarian who has adopted four children. This was announced during the gala event for awarding the prizes “Golden apple” on 1st June in the Sofia puppet theatre. – „Journalist“ – winners in the category are Nina Alexandrova and Prolet Velkova from Darik Radio. – „Local level politician“ – Georgie Georgiev, Mayor of Tundja Municipality. – „National level politician“ – Milena Damianova,Deputy Minister of Ministry of education. Three personal stories got to the final of the last and the most important category “Fairy-tale hero” – Mina Lambovski, a founder of a centre for work with children with autism; the three and seven years old Gogo and Marti from Shumen who decided on their own to donate their money from gifts for the treatment of Bogdan Alexiev and the story of Iliyana Kaleva who adopted 4 children who touched the awards’ jury and they almost unanimously announced her for a winner. Iliyana Kaleva is a pediatrician from “First Aid” and the only Bulgarian who adopted 4 children. She was a girl when she understood that because of her bones disease she wouldn’t be able to give birth to children. It was then when she decided that one day she would give all her mother’s love to an abandoned child so that he or her has a chance for a normal life. After she graduates and finishes a range of specializations, she sets off on the difficult road of adoption. She doesn’t have pretentions for age, health condition and ethnical origin of the child. The news that she was chosen for a mother of the five months Ivan came in the whirlwind of the health reform in 2000. Iliyana has to start private practice as a GP. She doesn’t have permanent and stable incomes, the costs are more than the incomes. “If you really want to have a child, but there is a problem and he comes in such a crisis, would you give up him?” is Iliyana’s answer to all who wonder how without permanent incomes she would look after a baby in a 60 square meters flat in a concrete block. In 5 years, Ivo who turns out to have a serious astma, starts dreaming for a brother and a friend for the play. This time both of them walked the hard road of bureaucracy and the fate meets them with Bojidar. The two brothers study together in a pre-school group and then at school. When they are third grade they already want a sister. When the three of them went to pick Didka up from the social home, they met a sad boy who turned out to be a birth brother of their sister – who is a year younger than them. “Aren’t we going to do something as a family?” ask the boys their mother. Emil is in a procedure for adoption but Iliyana warns the staff to call her if the adoptive applicants give up from him which they do. That’s how from 2010 the four children live together in their fairy-tale castle – made of concrete, 60 square meters but it has all the necessary ingredients for a happy life – mother’s care and much love. The Opening Doors for Europe’s Children campaign aims to support national efforts to develop child protection systems that strengthen families and ensure high-quality family and community-based alternative care for children, by leveraging EU funding and policy and building capacity in civil society. 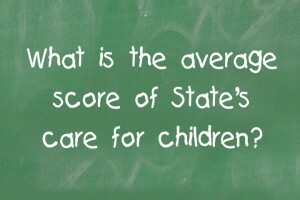 The National Network for Children’s annual report evaluates as in school whether the government and administration have fulfilled their commitments to the children in the last year. The main objective of the project, funded by the Velux Foundation, is to establish four Centers for children’s rights and piloting services aimed at children in conflict and in contact with the law. 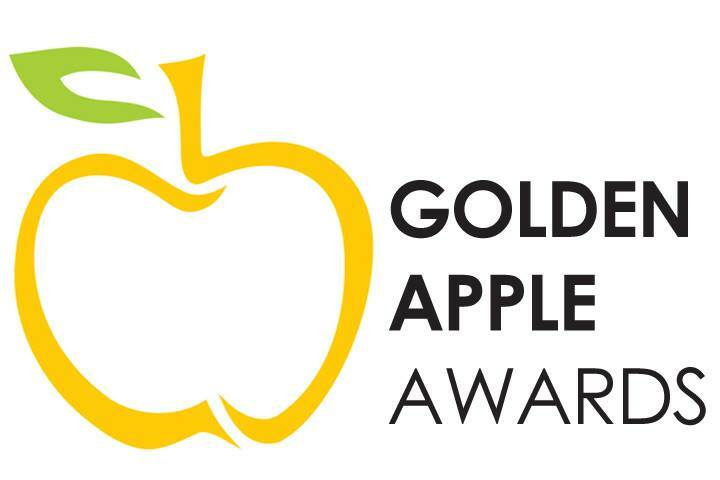 The National Network for Children founded the Golden Apple Awards to distinguish the contribution of public figures, ordinary people and organization, working to improve Bulgarian children live and welfare. 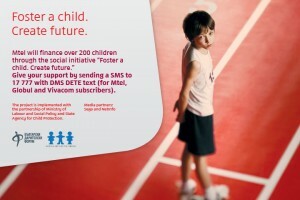 The child participation guarantees children rights and suppose that children not only share their opinions freely, but also they are active participants in community and social processes, related to child-adult bonding, to acquire communication competence and to empower children. Help us to build the House for Children. 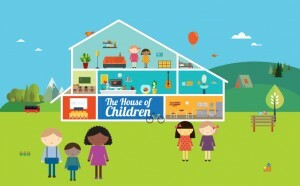 It will be a new, modern, contemporary House for Children from across the country. A place for events and training center for development of skills that will be needed TOMORROW in order our children to be successful people and leaders. Following the best practices in Iceland, the project aims to pilot comprehensive program of care in 3 countries – Bulgaria, Portugal, Cyprus in direction of recognition and empowerment of children and their parents and authorities leaving out the position of inert following the pattern of violence and initiate a process of self-awareness of personal own value of the youngest members of our society. 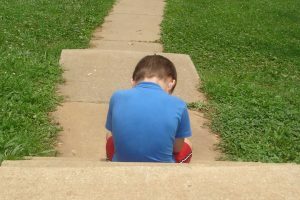 The foster care is an opportunity for children, deprived of own parents care to grow up in a family environment, to establish an emotional bond with the foster parents, to adopt social behavior models and to develop their potential to live independently.